Principal spaces in the building will include research laboratories, support spaces, offices, administrative and meeting areas. 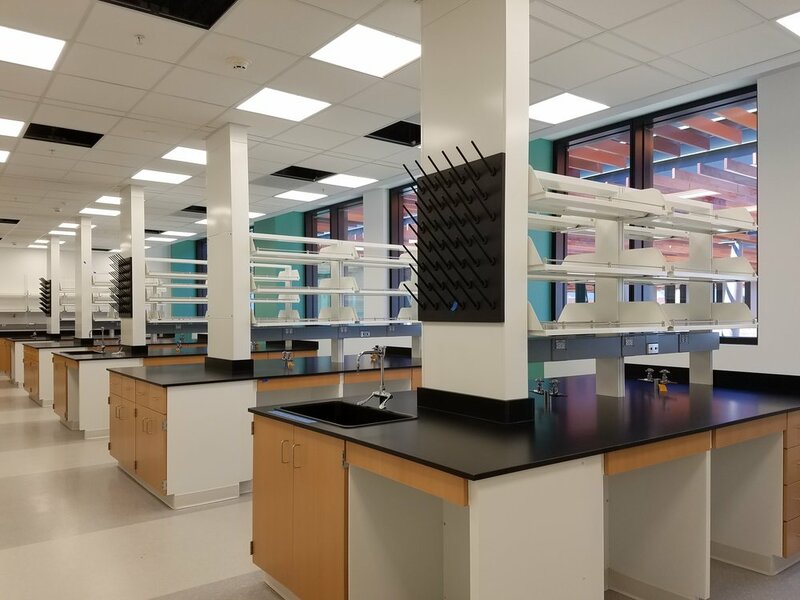 The new building will encourage collaboration and interdisciplinary work both within the department and across departmental boundaries by providing the opportunity to bring more members of the Biology department together. Laboratory research space will be provided for wet lab biochemistry research and computational research to support 29 faculty members. The building will be comprised of four stories above grade and one below and will include a small vivarium. 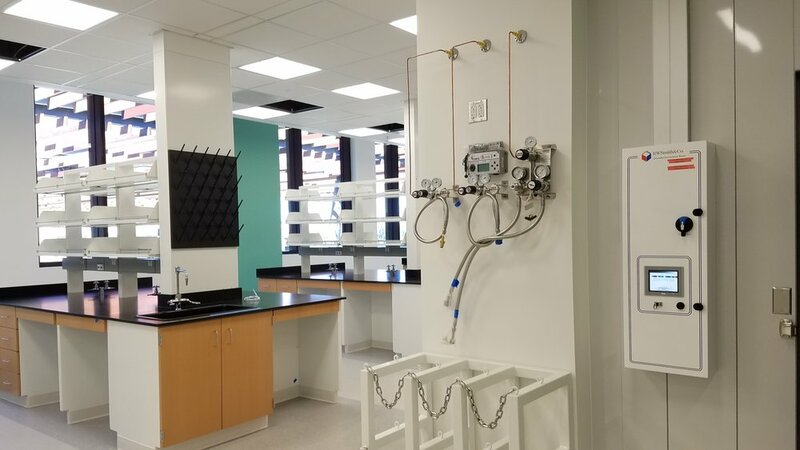 The basement also houses the University’s main Mass Spectroscopy lab (SUMS), which was designed with a high level of vibration sensitivity and temperature stability. All equipment and overhead building utilities are vibration isolated and a dedicated HVAC system with a ±0.5°F temperature accuracy are provided. Based on the indication of the energy model, this building will be the most energy efficiency building when it is completed at August 2018. As part of the project, a central loading dock is constructed. This below grade dock centralizes delivery services and minimize travel distances to adjacent existing buildings and the new Biology Building. The basement level dock is enclosed by a concrete roof structure at the surface level above. A cafe and landscaped improvements are developed on this surface level, and is connected to the dock below via an elevator. In order to mitigate any potential vehicle exhaust odor issue from the below grade loading dock for the Café and surface pedestrian traffic, a special exhaust system with a Photocatalytic Oxidation filtration technology is installed. The project is delivered by a Design-Assist methodology with Gayner Engineers being the MEP Engineer-of-Record. 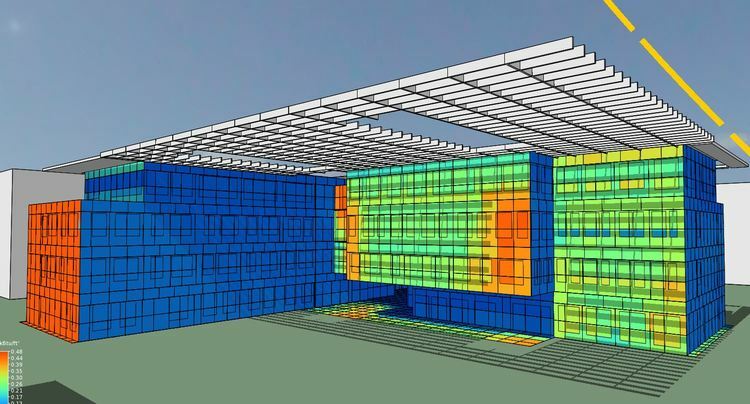 Document production was conducted by Revit in a full BIM environment.